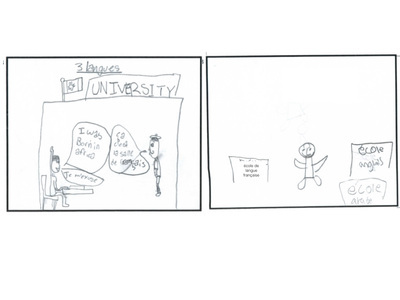 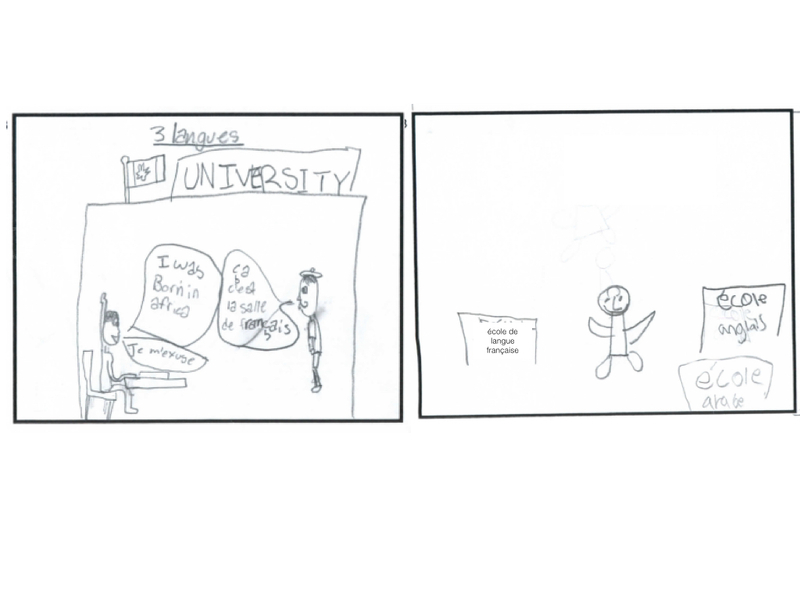 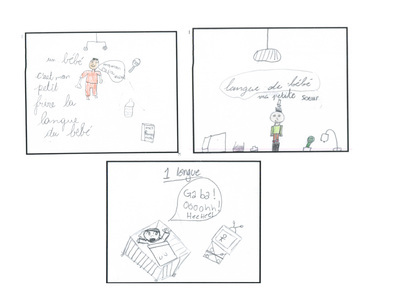 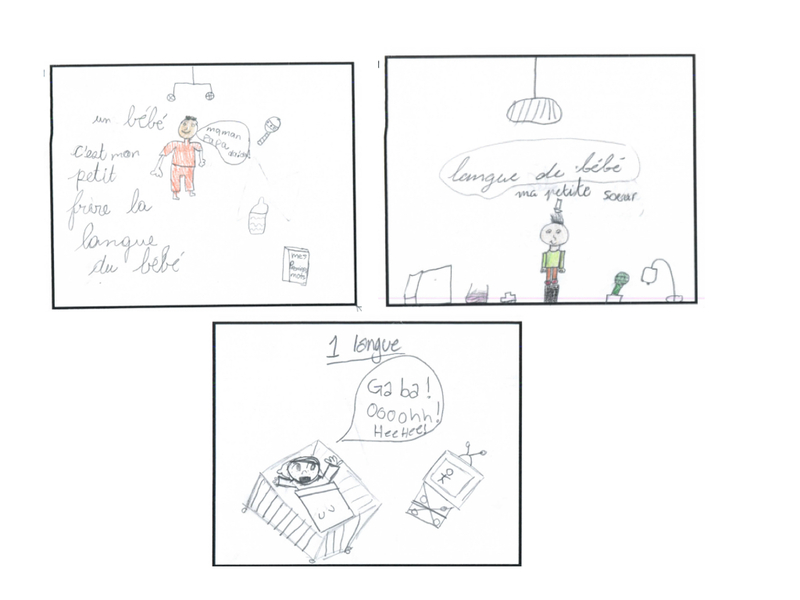 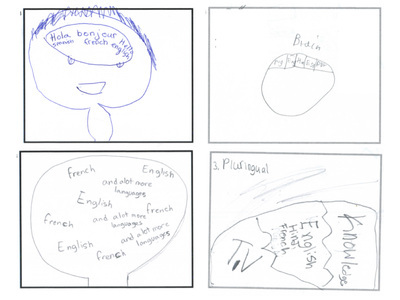 Drawings - I am plurilingual! 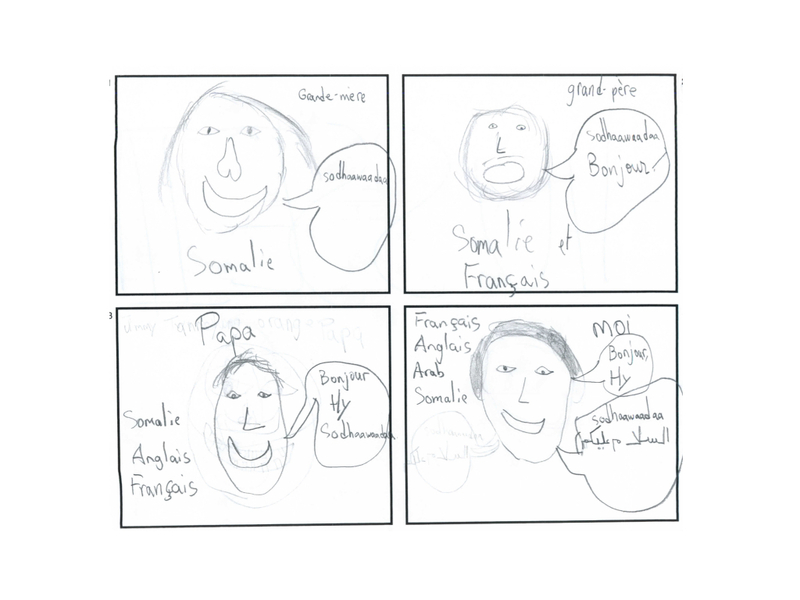 Je suis plurilingue! 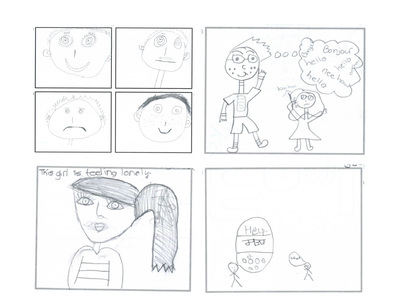 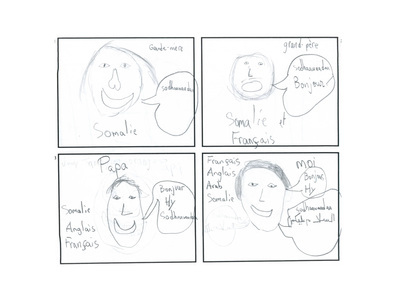 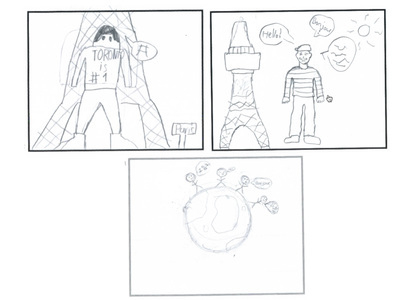 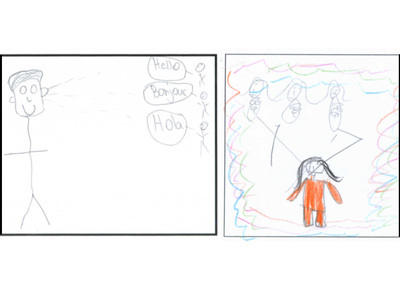 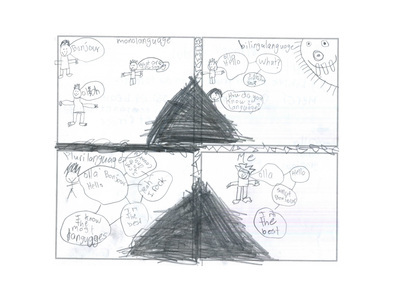 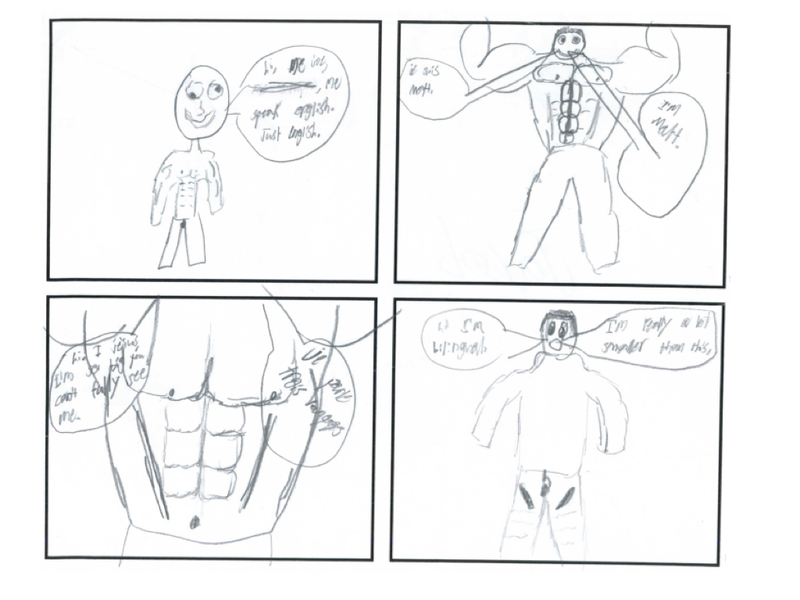 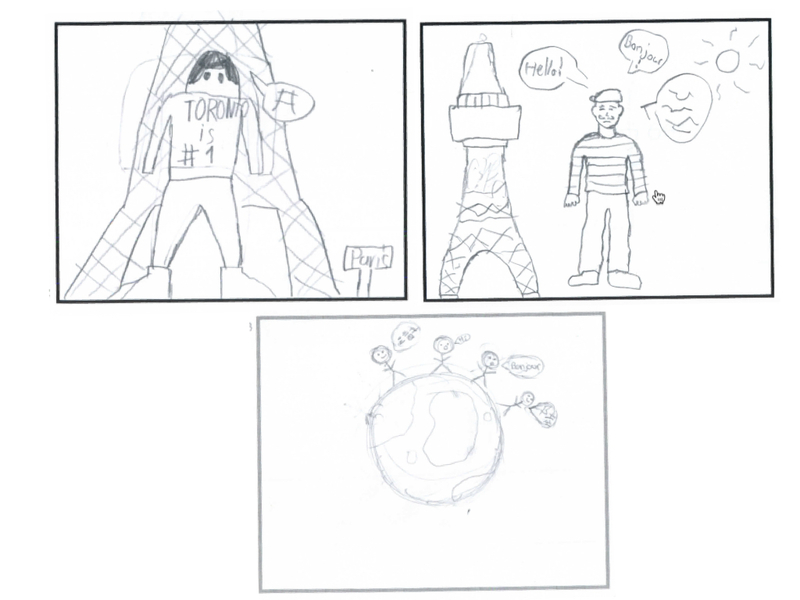 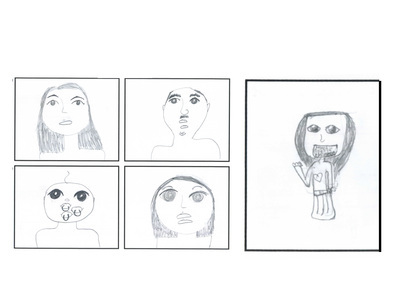 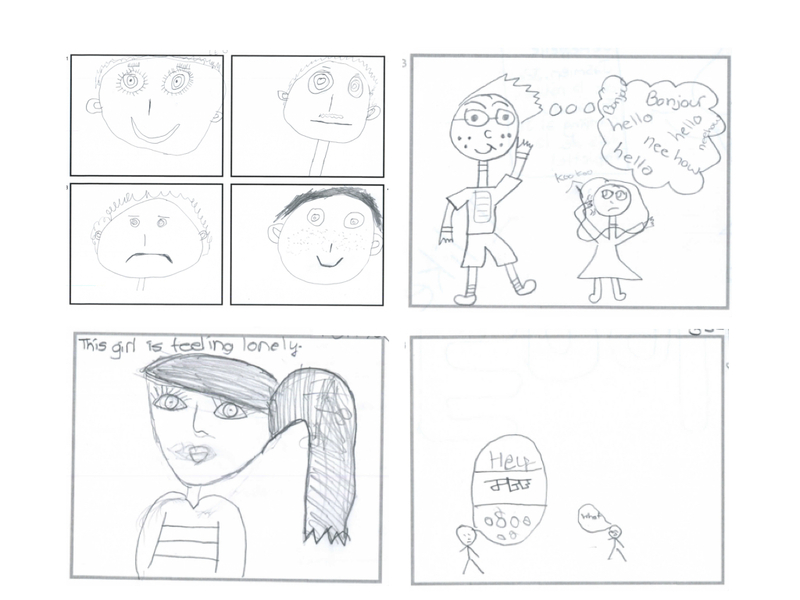 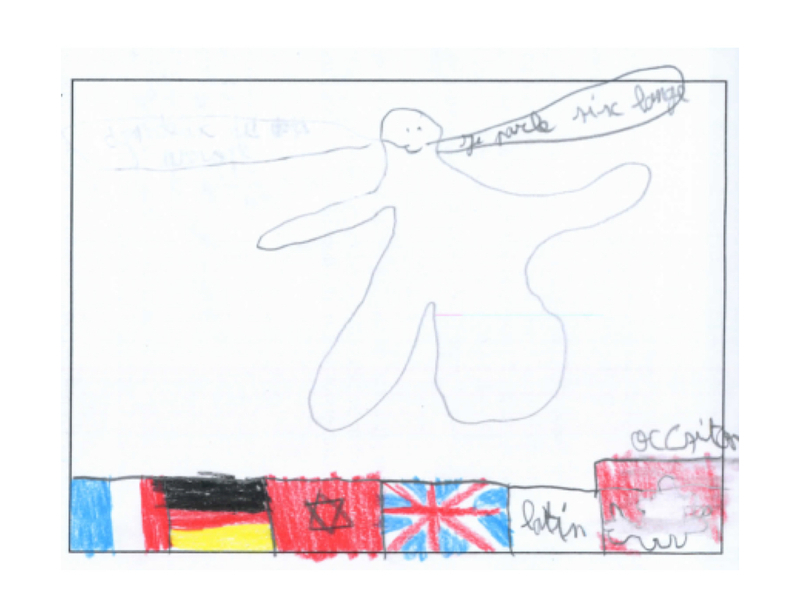 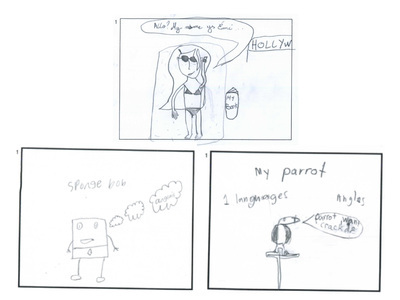 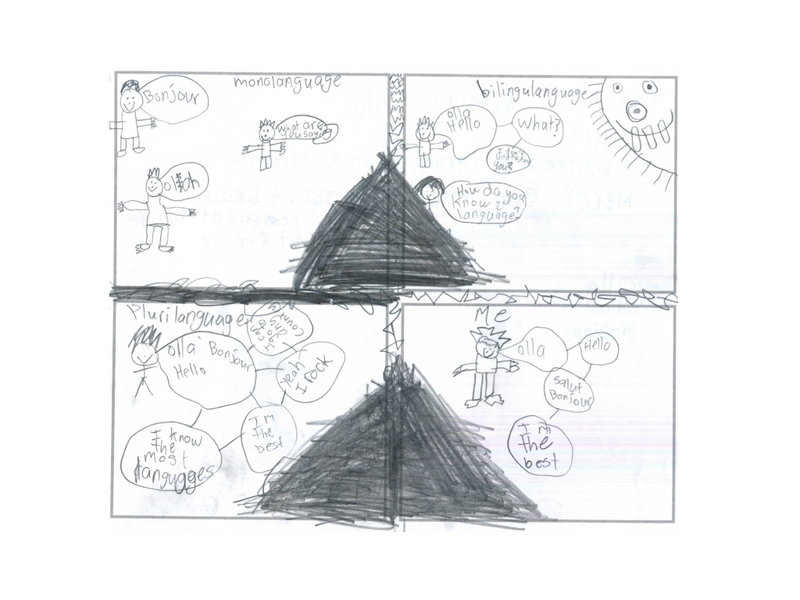 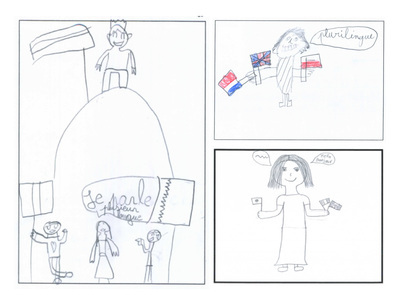 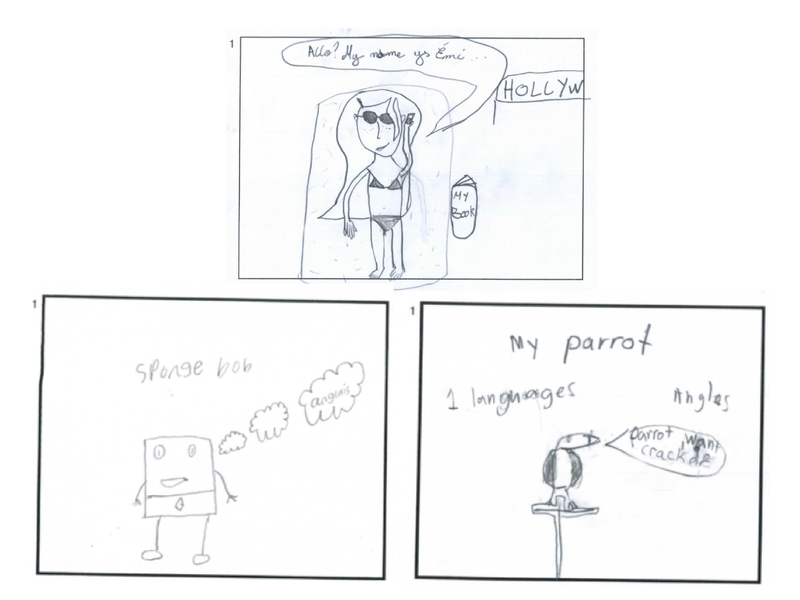 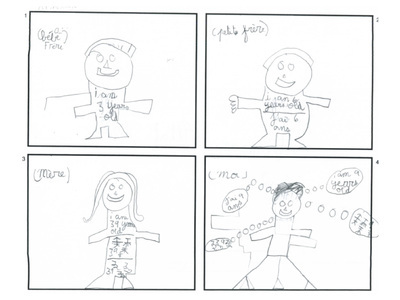 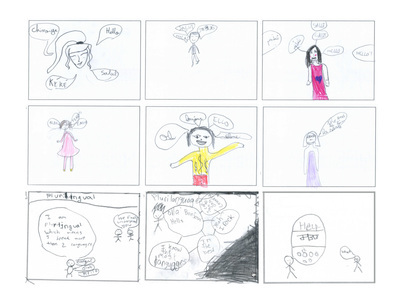 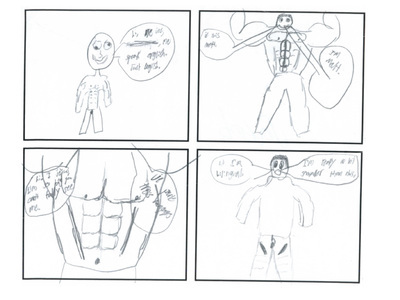 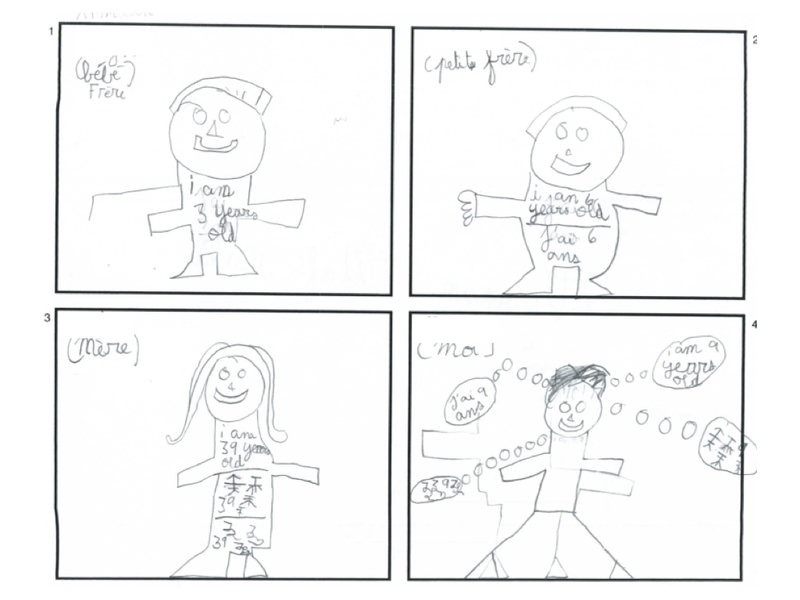 Children were asked to draw a monolingual person, a bilingual person, a plurilingual person and then themselves. 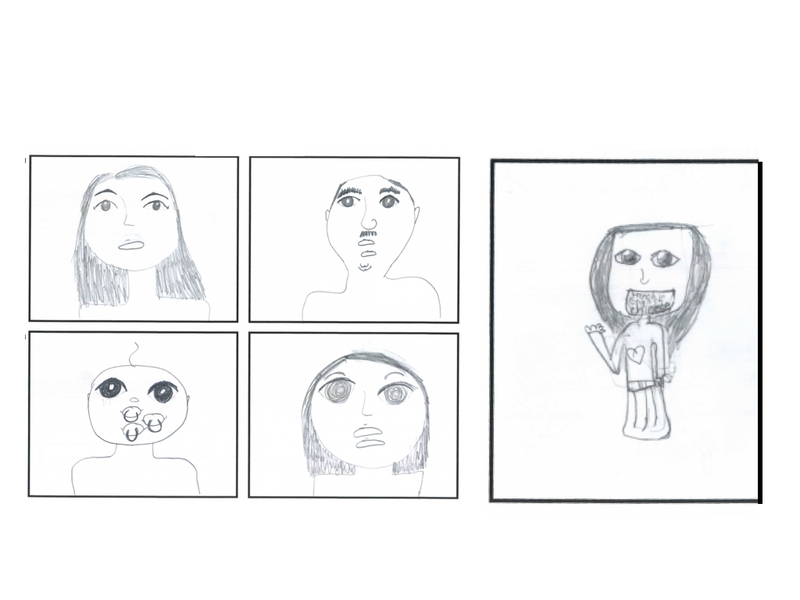 The gallery of drawings presents a selection of students drawings by theme: some collections are groups of several drawings of "a plurilingual person" and others show the sequential drawings from a monlingual person through to the self. 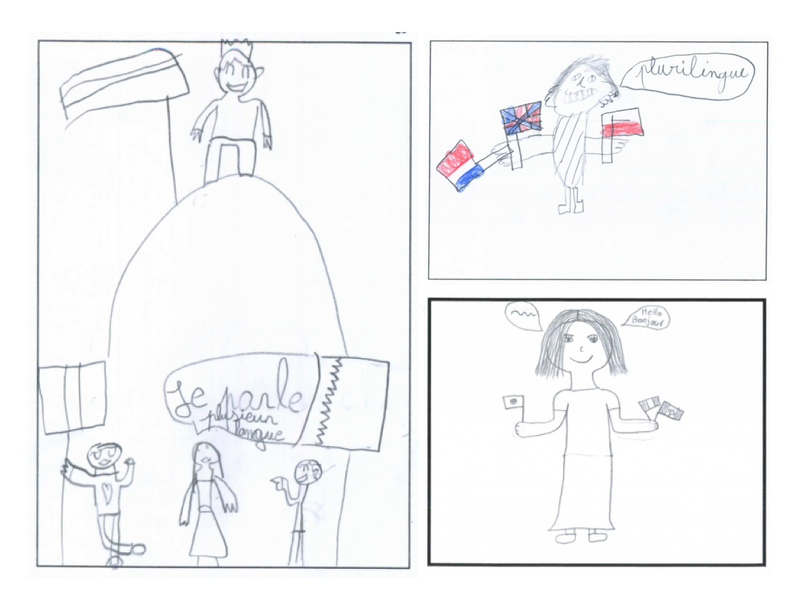 One nation - one language ? 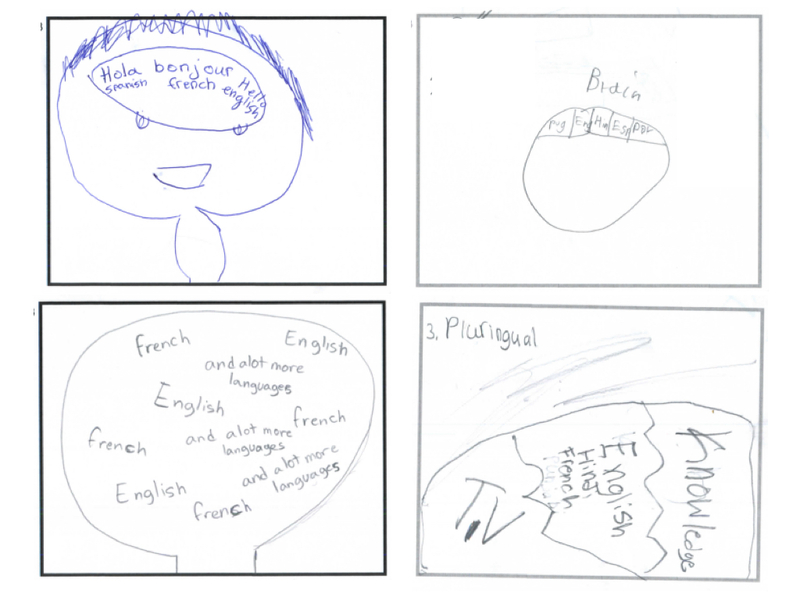 Regional / minority languages?